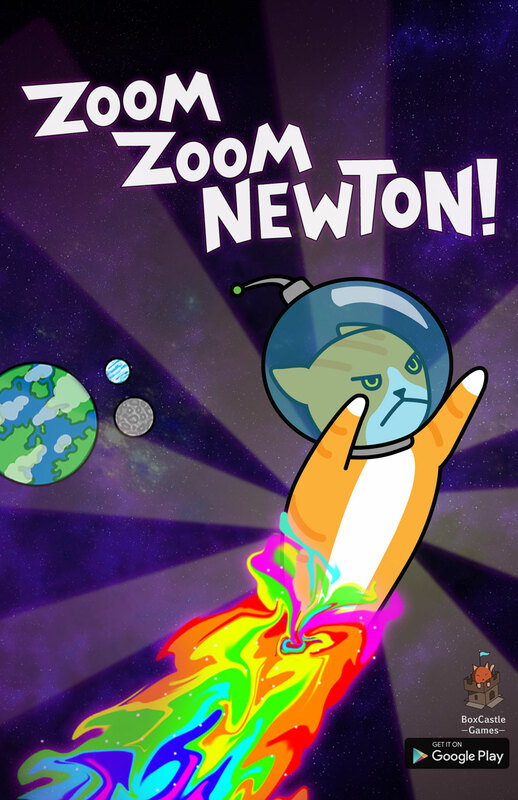 Zoom Zoom Newton: is a physics-based mobile game! Guide Newton, a brave kitten well versed in space magics, through asteroid fields and nebula by creating gravity wells for him to orbit. Achieve a variety of different goals in a myriad of levels in this fast-paced, goofy, casual game.